Monica Maschak - mmaschak@shawmedia.com Eric Schiller, for Crystal Lake South, fights to keep control of the ball in a game against Johnsburg on Wednesday, December 5, 2012. The Skyhawks beat the Gators 45-42. 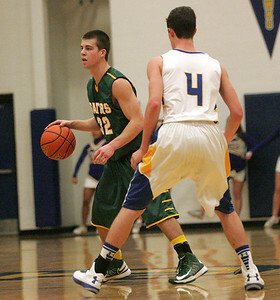 Monica Maschak - mmaschak@shawmedia.com Crystal Lake South's Nick Geske looks for an open teammate in a game at Johnsburg High School on Wednesday, December 5, 2012. 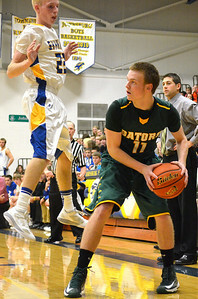 The Gators lost to the Skyhawks 45-42. Monica Maschak - mmaschak@shawmedia.com Henry Lobermeier (12) moves toward the hoop followed by his opponent in a game between Crystal Lake South and Johnsburg on Wednesday, December 5, 2012. The Skyhawks won 45-42. 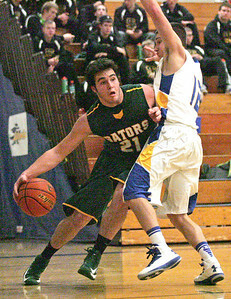 Monica Maschak - mmaschak@shawmedia.com Crystal Lake South's Eric Schiller looks to pass to a teammate in a game against Johnsburg on Wednesday, December 5, 2012. The Gators lost to the Skyhawks 45-42. Monica Maschak - mmaschak@shawmedia.com Crystal Lake South's Alex Bartusch (5) leaps to the hoop as Johnsburg's Kevin Dombrowski jumps to block from behind in a close game on Wednesday, December 5, 2012. 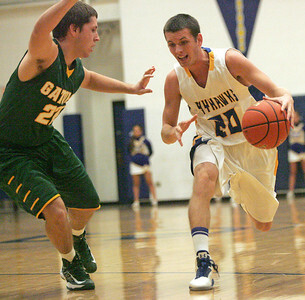 Johnsburg won 45-42. 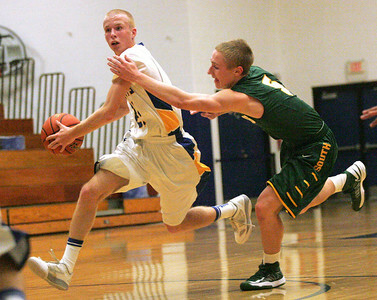 Monica Maschak - mmaschak@shawmedia.com Drew Talbot (20), for Johnsburg, dribbles past a defender in a home game against Crystal Lake South on Wednesday, December 5, 2012. Johnsburg won 45-42. 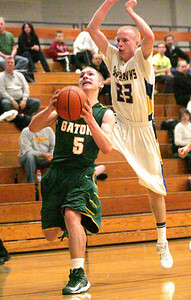 Monica Maschak - mmaschak@shawmedia.com Crystal Lake South Guard Alex Bartusch tries to block Johnsburg's Kevin Dombrowski during the game Wednesday, December 5, 2012. The Skyhawks beat the Gators 45-42. Monica Maschak - mmaschak@shawmedia.com Austin Rogers (21), for Crystal Lake South resists his blocker as he dribbles toward the hoop in a game at Johnsburg High School on Wednesday, December 5, 2012. The Gators lost to the Skyhawks 45-42. 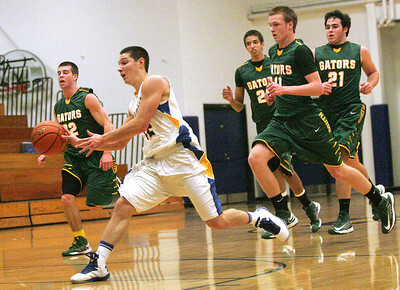 Monica Maschak - mmaschak@shawmedia.com Johnsburg's Henry Lobermeier rushes down the court followed by Crystal Lake South's defense during the game Wednesday, December 5, 2012. 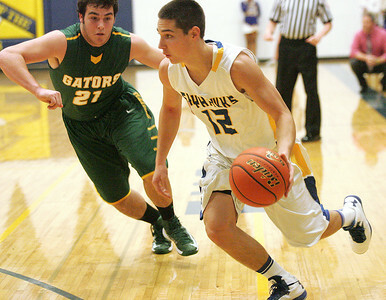 Johnsburg won 45-42. 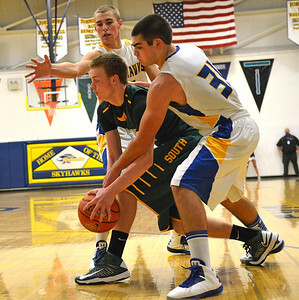 Crystal Lake South's Nick Geske looks for an open teammate in a game at Johnsburg High School on Wednesday, December 5, 2012. The Gators lost to the Skyhawks 45-42.